All Saints are back – with their new album Testament. 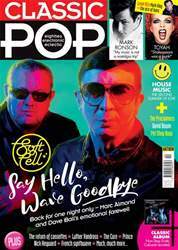 The record sees the band collaborating once again with producer William Orbit, the force behind their massive hits Pure Shores and Black Coffee. The group have sold more than 12 million records, scored five No.1 singles, three hit albums and earned two BRITs. After a hiatus and short-lived reunion, All Saints returned in 2016 with their successful, critically acclaimed Red Flag, which reached No.3 in the Official UK Albums Chart.